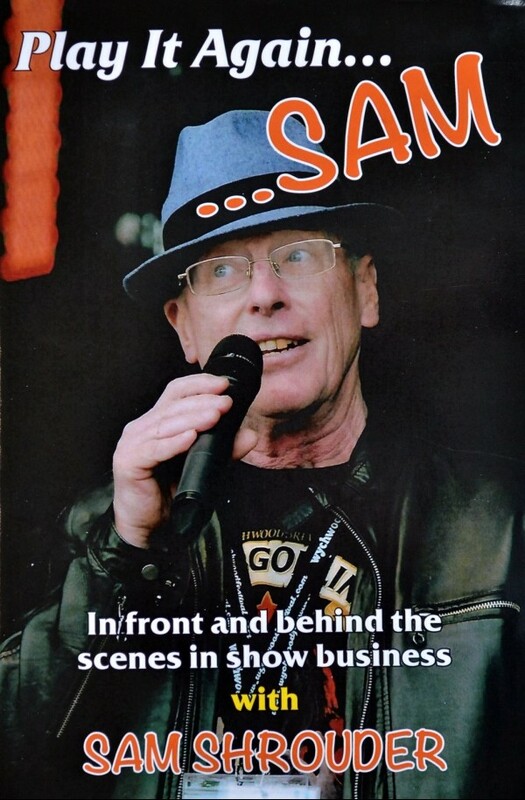 Sam Shrouder, Founder of Wychwood Festival! How do you think the Wychwood Festival has affected the sense of community across Cheltenham and Gloucestershire? Well, the festival is really an international one, so there is really people coming from across the world, in fact, one year I found there were people coming from 39 different counties and 8 different countries. So although it would be right to say that Gloucestershire provides the biggest percentage, the next biggest percentage of festival-goers was London and then Yorkshire. Locally, I like to think we are now just really part of the scene. We’ve been nominated every year for the best family festival in the United Kingdom because you can really come along at any age. I used to say the festival was for people from 0-80 until a guy came up to me who was dancing in front of the stage in a kaftan on his own and he was 87! So, it’s 0-until you die. How has the festival changed in terms of adding comedy, children’s literature, workshops, cinemas, headphone disco and many more to the festival? It changed, I mean, it never changed dramatically, but bit by bit we have started becoming more populist as you can see by the main acts that are playing at Wychwood. With this said, we do still have a good level of World Music and Folk! One of the biggest additions for us was the headphone disco. This is because around 50% of people that come to Wychwood Festival camp, so we obviously have to provide entertainment until 3 am, but of course, our license doesn’t allow us to play amplified music after 11 am. So the first year we hired a space within the Racecourse and put the disco in there. Now, there were two issues there, one was that we had to pay for the space, and secondly, we didn’t get any bar profits, which understandably belonged to the racecourse. So the second year we came up with the headphone disco, and that has been absolutely brilliant for us! People love it. Although you mentioned you have a lot of big artists playing, you also host some great up and coming talents. I was wondering where you find these new artists to perform? Tone Radio runs something we hold called the “Wychwood Sessions” which allows artists that want to play at Wychwood the opportunity to be seen by us. Overall, we get upwards of a thousand bands that approach us, who don’t want paying, just the kudos of being able to say they played at Wychwood. So although most acts are filled by artists that are already established we like to make sure smaller artists are still given the chance, which I think is still very important to us. How do you decide what different talents you want to have each year? Well, Graeme is chief executer, so he really organises the programming for the event. But some of the time, things just fall into place, because we’re now such an established festival that artists and management will usually get in touch with us. In terms of artists on the Friday, we have Scouting for Girls and T’Pau confirmed, Sunday we have the Stranglers, Toyah and Craig Charles performing, and Saturday we still have a big announcement still left to make as we have not yet revealed who is headlining for that day. In fact, The Stranglers have actually played before and they actually sold more day tickets than any act we’ve had before, so we’re really pleased to see them returning. Toyah performed last year without a band, and she was absolutely fantastic, so we have her back again this year with the full band! So it’s really coming along nicely. This year one of the big changes is the new dance stage, which is completely new. We have Bez from Happy Mondays doing one day and Steve Davis who was the snooker world champion on six or seven occasions, and a cult DJ doing another day, and of course Craig Charles who is well loved at Wychwood. I’ve seen the festival has a lot of great eco-friendly initiatives this year such as the bike ride and the eco-friendly hygiene packs - what made you decide to implement these changes? Wychwood has always been a very ethical festival, which is what we have always wanted from day one. So, we obviously have our responsibilities, and we take those very seriously to try and introduce as much change as possible that is good for the environment. We also have what we call our partners of conscience, and our partners of conscience this year are Toy Box Charity. Toy Box Charity do some magnificent work with street children - I’ve visited some of their projects, one in Guatemala and one in El Salvador, and what they do is really sensational. So they have a great presence at the festival and people can go chat to them about what they do. Every year there seems to be something new at the festival, what exciting things can festival-goers expect this year? This year with the complete new vision, for the first time ever we ripped up all the bits of paper and said “lets start again, we’re on a completely new site, and we have a really great area for everything now”, and people really do utilise this space, so it is important. We also have the workshops, which is a big part of what we do. I mean - it’s funny really, I stay by the main stage, which is a lot of fun, but it does mean I’m completely tied to it. But last year we did a Q&A type session, which meant I was able to escape for a bit and spend some time in the family area with the workshops, and while I was there I got chatting to loads of people - and, I mean, I always think “oh they’re just waiting for the bands” - but no, people have said the family area is the centre of their festival experience when they come here! With all these wonderful things that children and grown-ups can do alike, a lot of people have said they like to spend the majority of their time in this area, and just go and see a band later if there’s someone playing they want to watch. This reaction gave me a new sense of an extra dimension to the family section of the festival. I think it’s great that pretty much everything comes included in the cost of tickets, as you find that a lot of festivals have additional costs for extra activities. Yeah, we have some really great workshops planned which don’t cost any extra money to attend. I mean - you learn from experience, we did this event called Carters Steam Fair, and, it was very good, but they were charging people to go. Someone came up to us and said, you know you are not charging under 5’s for entry, but then they go in there and they are paying £2 to go on a ride. So we thought for the Wychwood festival we want it pretty much all included. That’s what makes the workshops really special for us, and we do a parade at 4 pm on a Sunday that goes all the way through the site which includes all the kids and adults displaying what they have been doing in these sessions! So it really is a great thing to watch. What’s been the most popular year? Well, when we started it was a really tough thing to do, and we lost £300,000 in our first year. It was an astonishing experience, and not what we expected at all. But the encouragement we got was amazing, and even though it rained, I remember going for something to eat after putting the act on, going in this tent and there were two other people sat there and I asked, “what made you come?”. They replied, “we’ve come from Derbyshire, we’ve both retired, and out bucket list included coming to a festival, because we’ve never been before, and I was thinking - hm, this isn’t great, it’s pouring with rain - so I said “well I hope your day has been alright”, and they said “no-no- we’ve camped for the whole weekend, and we’ve had the best three days of our lives” - and I just thought, that’s priceless. The reviews have always been great, so we knew we wanted to keep doing it, and every year the festival improved until eventually, we moved into profit. Have you seen any of your up and coming artists become popular after the festival? There’s always a flyer, and you think are they going to break? We’ve had people like Rag’n’Bone Man and Wolf Alice, and I mean when they first appeared I went to see them and there was probably only 40 people in there and now you could probably have about 4,000 people. Our biggest one was Duffy, and we booked Duffy when no one had heard of Duffy, but by the time of the festival and she appeared, she was number one in the singles and the album charts! So yeah, we got this little Welsh girl who absolutely shaking before she went on, but when she was on, she absolutely mesmerised the crowd. You also get the big surprises, we had a duo called Rodrigo y Gabriela, who just sit there and play the guitar. When they went on there were around 700 people, but by the time they had finished their set, there were 5,000 people in front of the stage, not to mention they completely topped the world music charts for over a year. So you get nice surprises sometimes. So, lastly, how do you differ from the other festivals? We are the only festival in the UK that has a children's literary festival, and that’s a big thing for us. We are also very lucky in the support we get, especially from the stewards and the volunteers. We are really lucky to have such a great team and we always have students helping out from the University. So I think a great thing about the festival is that everyone who runs it knows that no one is getting much out of it money wise, everyone just does it because we love it. The UK's favourite family festival takes place within the beautiful Gloucestershire countryside, with over 100 acts performing across four stages.